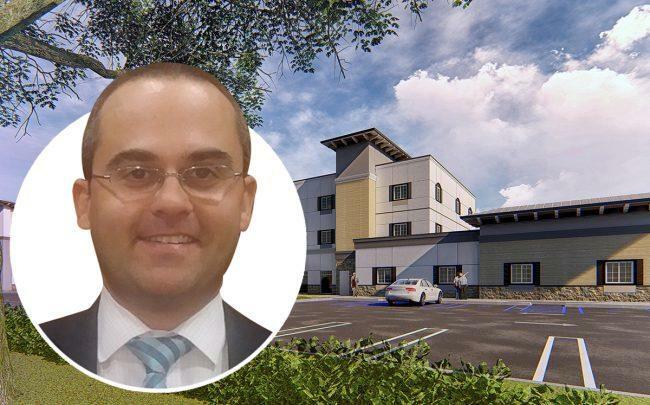 Reichmann International Realty Advisors and Fortress Ventures secured a $20 million construction loan to build a 131-unit assisted living facility in Delray Beach. The partnership is building a $34 million project at 14160 Via Flora tentatively called the Inspired Living at Delray. The facility is expected to break ground in a couple of weeks, according to Michael Weitzner, managing partner of Reichmann International. A company tied to Fortress Ventures bought the 5.6-acre site in June 2018 for $3 million, records show. Reichmann International is based in Toronto, Ontario and has developed or managed over 70 million square feet of office, retail and industrial properties. It built the World Financial Center, now known as the Brookfield Place, in New York City, as well as Toronto’s First Canadian Place. The Reichmann family is reportedly one of the wealthiest families in Canada with a net worth of over $2 billion, according to the publication Canadian Business. Fortress Ventures is a real estate investment firm headquartered in Estero, Florida. It specializes in senior living and memory care facilities. The company’s projects include a 64-unit memory care project in St. Augustine and a 140-unit assisted living and memory care facility in Fort Myers. Aventura-based BH3 is planning to develop a $100 million mixed-use project on the land at the 600, 700, 800 and 900 blocks on the south side of West Atlantic Avenue. In January, a joint venture between 13th Floor Investments, Key International and CDS International bought the former Office Depot headquarters in Delray Beach for $33 million. The group intends to redevelop the property into one of the biggest projects in the city’s history.